You are here: Home / Decorating / More Ways To Get Instant Summer! More Ways To Get Instant Summer! We’ve got five more ways to get your place in the mood for summer fun! Switch up your coffee table staples for an instant summer update. 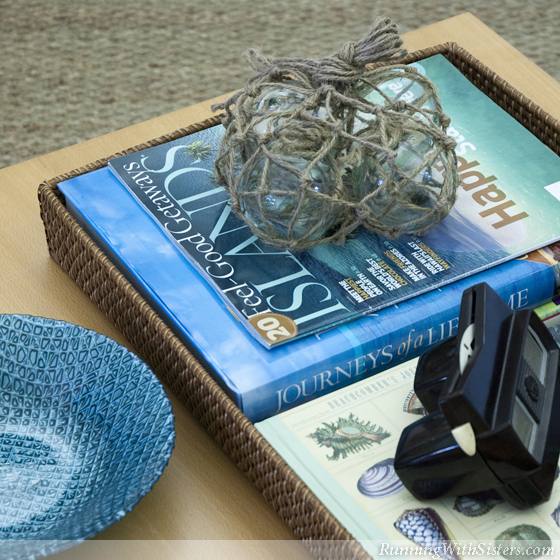 Set out your prettiest travel picture books and magazines in a large wicker tray. Bring in island blue and green accents with a glass bowl or fishing floats. And if you have a photo album of your last trip to the shore, now’s the time to get it out again! 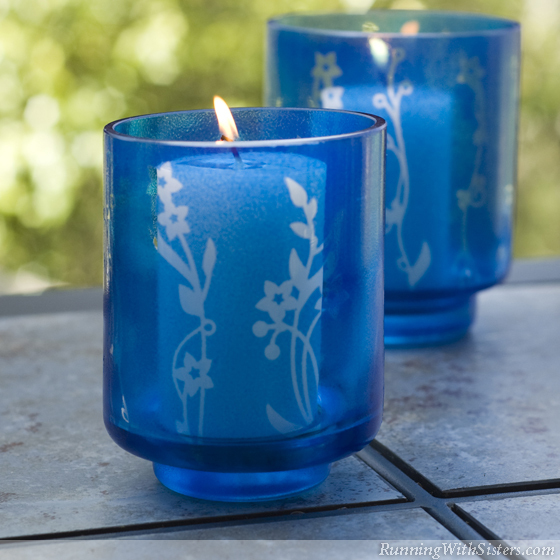 Create your own “etched” luminaries to light up your summer nights. To make each one, wash a glass hurricane with soap and water. Decorate the sides with ornate stickers of vines and flowers. Then place the candleholder upside-down and spray with sweeping coats of Krylon Stained Glass Spray Paint. When the paint is dry, peel the stickers off to reveal your artistry. You can add a splash of summer anywhere, even under the dog bowls! 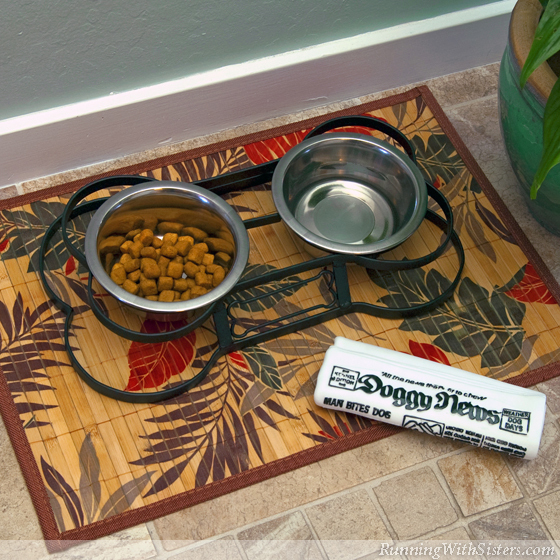 A bamboo placemat with a palm tree print not only keeps Sparkplug’s kibble off the floor, it brings an unexpected touch of the tropics to any kitchen corner. If you can’t leave work for the summer, bring a little summer to your work! Trade your manila file folders for colorful ones in orange, blue, and magenta. Cover your boring corkboard with a Lilly Pulitzer-like pattern. 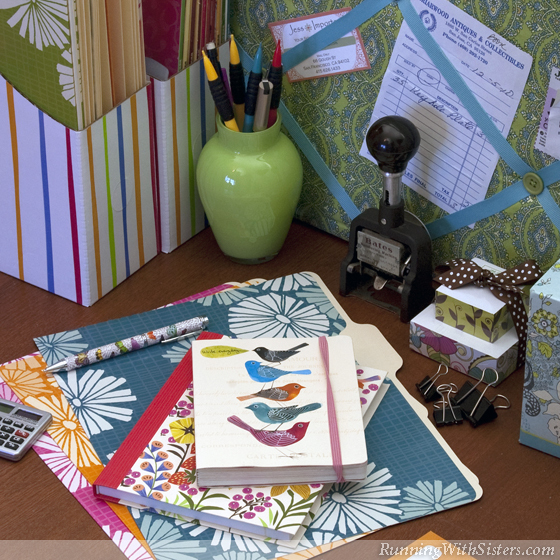 Post-its, notebooks, and tissue boxes all come in fun florals. Splurge on a beautiful butterfly pen and you won’t mind filling out your TPS reports! Want an easy color combo? Try blue and white. 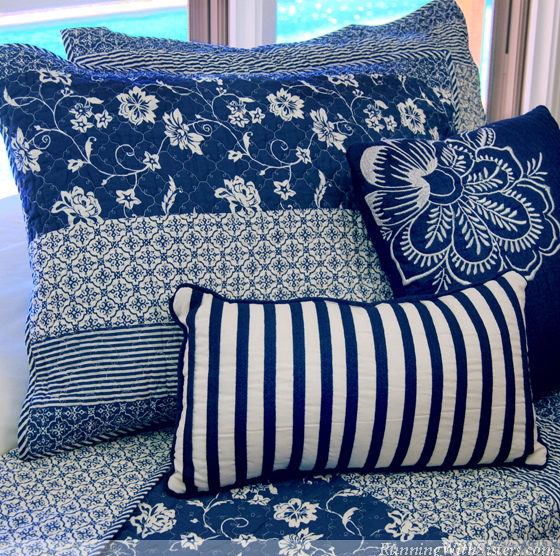 In the living room, the bedroom, or the bath, this classic pair says holiday in Greece or a week on Nantucket. It’s the simple feeling of a crisp white cotton shirt paired with denim capris. Casual, comfortable, and oh so summer! Of course, our favorite is your tropical dog bowl!